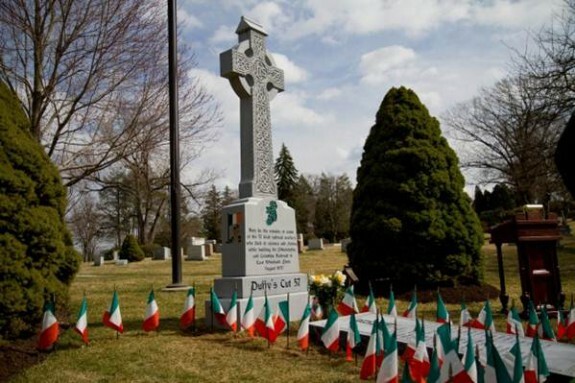 At Duffy’s Cut, a railroad construction site in Chester County, Pennsylvania, fifty-seven Irish immigrant railroad workers died amid a cholera epidemic in the summer of 1832 and were buried in a mass grave. 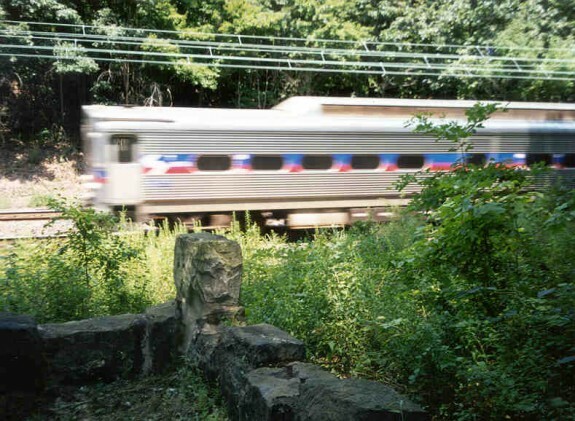 The Irishmen from Donegal, Tyrone, and Derry were hired to dig a railroad cut and construct an earthen fill in lieu of a bridge at mile 59 of the Philadelphia and Columbia Railroad (P&C), part of a transportation system to link Philadelphia and Pittsburgh. 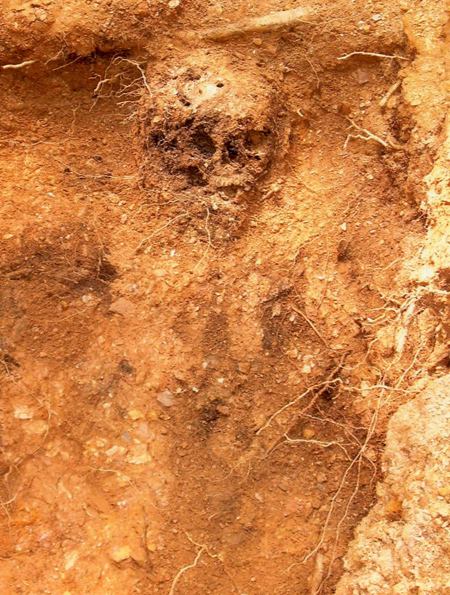 Archaeological evidence uncovered in 2009 and thereafter demonstrated that some of the workers died of blunt force trauma and bullet wounds rather than cholera. Duffy’s Cut takes its name from Irish railroad contractor Philip Duffy (1783-1871), who came to the United States in 1798, the year of the United Irishmen rebellion. He was among the contractors to gain work from the Pennsylvania Canal Commission, created by the Pennsylvania Assembly in 1825 to oversee construction of what came to be called the Main Line of Public Works, which was projected to cut travel time between Philadelphia and Pittsburgh to three to four days instead of the three to four weeks travel time by Conestoga wagons. In 1828, the Canal Commission approved construction of two rail lines—the P&C (eighty-two miles) and the Allegheny Portage (thirty-six miles). Duffy’s mile 59 contract was the second of his six contracts with the P&C in the period 1829 to 1849, and the most expensive contract along the entire system, at $23,500. Duffy also obtained contracts with the West Chester Railroad and the Reading Railroad. Duffy lived in a rented house in Willistown Township, south of the P&C line, with ten non-naturalized Irish laborers who worked with him on mile 9 of the West Chester Railroad (which was intended to link up with the P&C). The bulk of Duffy’s crew for his mile 59 contract arrived in Philadelphia from Derry in late June 1832 aboard the bark John Stamp. Their average age was 22, and most of them were desperately poor. The lure of labor opportunities in canal and railroad construction in the United States drew progressively more Irishmen across the Atlantic in the 1830s. Duffy brought forty-seven men and at least one woman from the John Stamp to mile 59 to work with the ten already living with him, making a crew of fifty-seven to work on the P&C cut and fill. As the work commenced, cholera arrived in Philadelphia and an epidemic gripped the Delaware Valley. In July and August, perhaps 1,000 people perished in the epidemic in the Philadelphia region. By early August, cholera had reached the workers’ camp in Chester County and sources indicate that some of them tried to flee. Quarantines of food and also of humans were employed throughout the United States during the 1832 epidemic, and evidence suggests that a quarantine of the workers was attempted at mile 59, perhaps imposed by the East Whiteland Horse Company (some of whose members lived adjacent to the work site). By the end of August, all fifty-seven workers had perished. 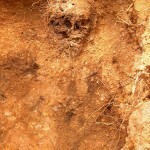 Archaeological excavations and forensic analysis of seven sets of remains from within the railroad fill in 2009-2012 revealed that those workers sustained blows to their skulls at the time of their deaths and one had a bullet shot into his skull at close range, but none had defensive wounds. Railroad records indicate that locals shunned the workers when cholera struck the camp, and it is likely that fear of cholera and perhaps even nativist sentiment contributed to the deaths of the work crew. 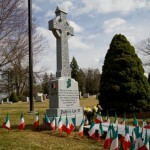 Five of the excavated remains were reburied at West Laurel Hill Cemetery in Bala Cynwyd, Pennsylvania, in March 2012, and one was reburied at Holy Family Cemetery in Ardara, Donegal, Ireland, in March 2013. The events at Duffy’s Cut provide an example of the pervasive fear of contagion and of what historian Alan Kraut has called “the immigrant menace” in early America. William E. Watson received his Ph.D. in history from the University of Pennsylvania and is Professor of History at Immaculata University. He is author of several books, and coauthor of The Ghosts of Duffy’s Cut and Irish-Americans: The History and Culture of a People. Barry, Dan. “With Shovels and Science, a Grim Story is Told.” New York Times, March 25, 2013. Hughes, Samuel. 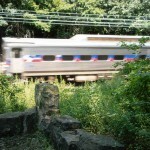 “Bones Beneath the Tracks.” Pennsylvania Gazette (November/December 2010): 34-43. Osborne, John B. “Preparing for the Pandemic: City Boards of Health and the Arrival of Cholera in Montreal, New York, and Philadelphia in 1832.” Urban History Review 36 (Spring 2008): 29-42. Rosenberg, Charles E. The Cholera Years: the United States in 1832, 1849, and 1866. Chicago: University of Chicago Press, 1987. Watson, William E., J. Francis Watson, John H. Ahtes, and Earl H. Schandelmeier. The Ghosts of Duffy’s Cut. Westport, Conn.: Praeger Publishers, 2006. Watson, William E. “The Sisters of Charity, the 1832 Cholera Epidemic in Philadelphia, and Duffy’s Cut.” US Catholic Historian 27: 4 (Fall, 2009): 1-16. Watson, William E. “History and Memory at Duffy’s Cut.” Railroad History 211 (Fall-Winter 2014): 76-87. Pennsylvania Historical Marker, “Duffy’s Cut Mass Grave” (2004). Intersection of King Road and Sugartown Road, Willistown, Chester County, Pa.
Duffy’s Cut Museum, Gabriele Library, Immaculata University, 1145 King Road, Immaculata, Pa.
Duffy’s Cut burial site, West Laurel Hill Cemetery, 215 Belmont Avenue, Bala Cynwyd, Pa.